I gotta admit that I don’t use the 3D Touch feature on my 6s Plus very much, mostly because I forget it exists. It is pretty handy, though, as I’ve discussed before, and one way that I do use it is to jump to some frequently used options within Settings. 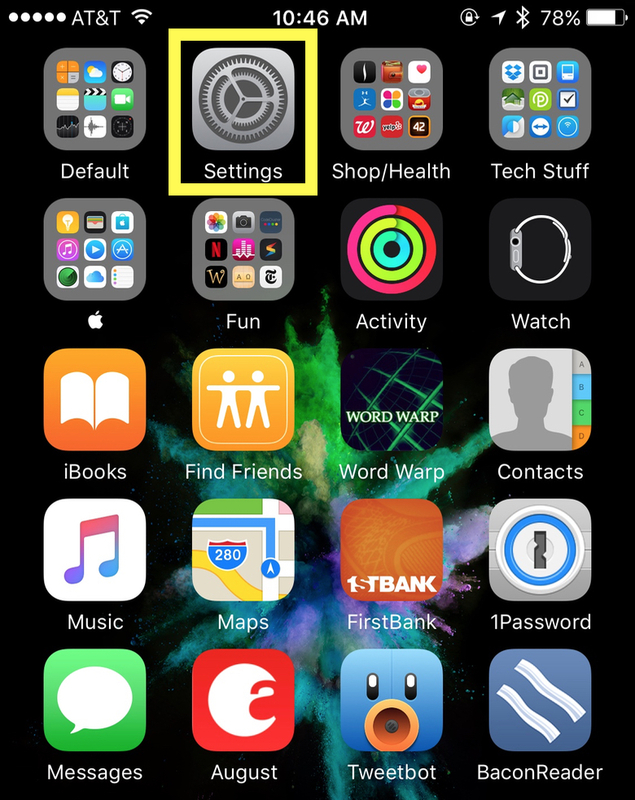 If you’ve got a 6s or 6s Plus, then, check it out with me—start by pressing with a bit of force on that app. 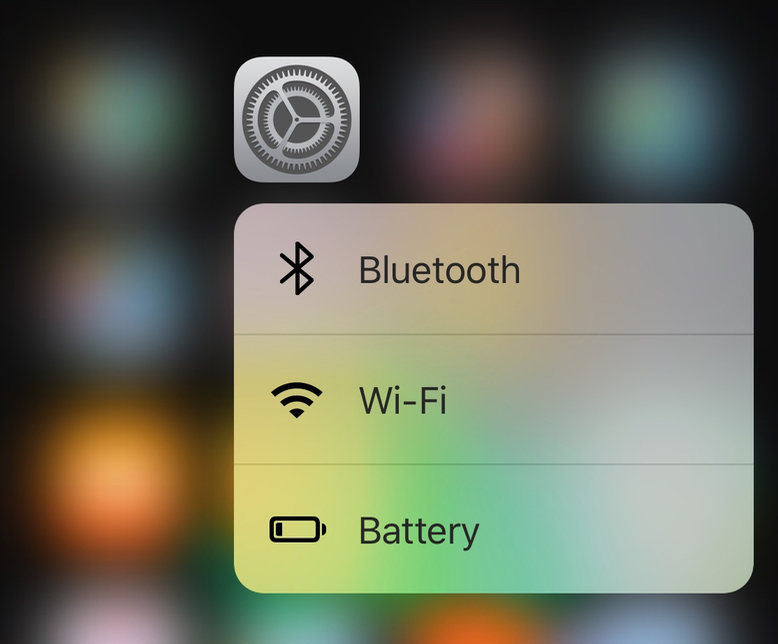 Under iOS 9, you’ll see three options: Bluetooth, Wi-Fi, and Battery. So you could use this to hop in and join a network, say, or turn on Low Power Mode. 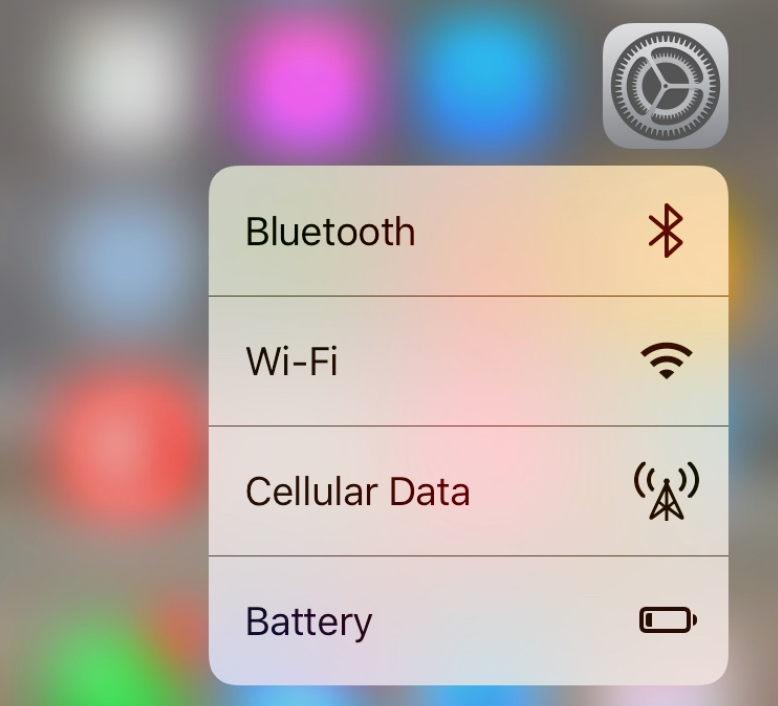 And under the latest release of iOS 10, there’s an additional choice, too—Cellular Data. That’s pretty neat! I kind of wish this were configurable, though, as there are at least a dozen settings I’d rather have quick access to other than Cellular Data. But the ability to do this makes me happy anyhow!